Maybelene comes from the Wakenaam generation of Aprils but as the stars would have it, she was born on Christmas Day. May as she was familiarly called officially and unofficially by both friends and family, organised her entire life to make Christmas Day a celebration dejure. May was also a twin bench. Her older twin sisters they all went to school in Georgetown and May was fortunate after high school, to attend the Guyana School of Agriculture where she specialised in agronomy. This program also gave her first job with the Tappakuma Irrigation Project as a field officer responsible for Other Crops propagation. It was on this job at a Christmas party May was introduced to an expatriate worker who had just arrived from Spain to join the staff to promote other crops. The relationship took off immediately. His family name was Punkinton and he was a six footer, a mere three inches taller than she was. A distinguishing feature outside of his height and ethnicity, Punkinton was a gogoedian. May’s family and friends were a bit disappointed about her choice of an older man with a baby pumpkin between his legs. Anyhow he loved her and she loved him. 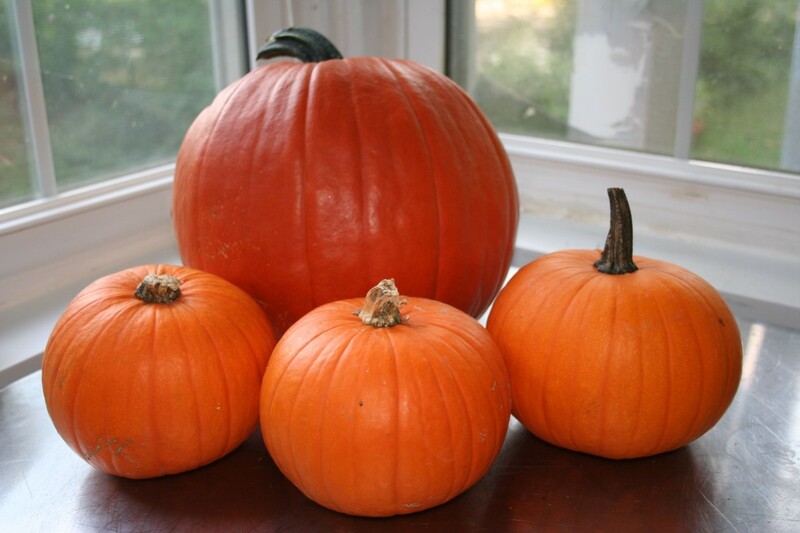 And so in typical Guyanese style Mr. Punkinton was rechristened baby pumpkin for his physical and medical attributes. But May did not care. Baby Pumpkin was kind and loving and on her next birthday which was Christmas Day he proposed to her. And for her quarter life anniversary, he married her on her birthday. By this time his tour of duty had come to an end and as he re-migrated back to Spain with May in tandem. Early that new year, Baby Pumpkin took up a new job posting in the Middle East and there is where May gave birth to her own set of twin daughters. The family both got jobs in their chosen careers and when the girls turned 20, May made a conscious decision in 2016 to plan a family trip back to Guyana for the first time. Baby Pumpkin was just as excited as the rest of the family and so they arrived that December a few days before Christmas. First stop was at Stabroek Market to get some snow cones. Baby Pumpkin ordered a double without the condensed milk as he was a diabetic candidate. May took hers without the honey as a borderline diabetic. One of the twins took hers without syrup as a follow pattern while the other asked for her snow cone without ice for bad mind sake. After this episode they were off to Parika in their self driven rental car and as they passed through Harlem on the West Bank, Baby Pumpkin hit a dog and attempted to stop to offer first aid and May almost took his head off. She rebuked him for being too kind to animals and wanted him to be courteous and polite to all people irrespective of their station in life. Parika was 20 minutes away and they arrived without incident and had about three hours to spare before the 5.00pm ferry to Wakenaam. And while browsing at the local market, a water melon huckster…..a lil boy say uncle don’t focus on buying a whole water melon. Just buy a slice or two because anything more than that will send up your blood sugar and put you in a diabetic coma. May was surprised that with just one look the lil boy could determine his medical self and recommends something good for him to eat. Moving on, May bump into a long time relative named Zeff from Sans Souci and offered her a beverage from one of the stalls. Zeff declined to have a bottled drink and instead settled for what she described as an open face drink made from pumpkin juice. All this time May had to be translating some of these Guyanese cultural nuances and language. The English they knew did not correlate with the GT lingo. Zeff at one time told May that she was hospitalised earlier in the month and had to have an operation on her hand- knee. She meant elbow after being hit by the mirror of a hire car. The departure time for the boat was soon approaching and a woman from Aliki in the Essequibo river approached Baby pumpkin with three beach ball sized pumpkins on a pull cart. She explained that she normally sells wholesale at US one dollar per pound and the three pumpkins were 40 pounds each and she is reducing the sale price to ten US dollars for all of the pumpkins because she needed to go home on a river launch which was almost ready to go. Mr/ Punkinton fall for the seur and bought the three oversized pumpkins which gave May the idea that while in Guyana she can celebrate her 50th and use strictly pumpkin dishes as the mainstay of the celebrations. And so Christmas day there was a party for 50 guests for under 50 dollars in the backyard in Wakenaam. There were 50 different dishes and open face beverages featuring pumpkins. There was pumpkin on rice, Rice on pumpkins, Pumpkin with rice, Rice with pumpkin, Pumpkin on top of rice, Rice on a bed of pumpkins, pumpkin fritters, pumpkin souse, Steamed pumpkin, pumpkin dholl, pumpkin curry, pumpkin achar, pumpkin upside down cake, pumpkin tarts, pumpkin meat ball. And for the beverages instead of milk for the teas and coffees, it was pumpkin nectar. There also was pumpkin beer, pumpkin wine and pumpkin flavored champagne. A relative who was a known junkie, tried to sample everything that May and Mr. Punkinton made with pumpkins and had a negative reaction. He got an upset stomach and vomited. A stray dog ate the vomit and died immediately that Christmas day. Mr. Punkinton was grieved and called on May to tone it down planning never again to have a pumpkin Christmas not for May’ s sake or their children’s sake. So help me god this Christmas.